Charley Shin is 15 minutes late to his interview in New York with Forbes Asia. He rushes in apologetically with his wife, Mary, to Gramercy Tavern, one of his favourite restaurants in Manhattan. It turns out the cab driver was preoccupied with a call from his mother and Shin couldn’t find it in his heart to interrupt. The waiter recommends the tomato salad and striped bass as her personal favourites. Without another look Shin folds the menu and cheerfully accepts. This receptive side of Shin contrasts with the meticulous planning that has gone into his own eateries. Shin, 54, is the Korean-American founder of Charleys Philly Steaks, a sandwich chain founded 33 years ago in Columbus, Ohio, that now has 600 locations across 45 US states and 19 countries. Privately held Charleys, whose “submarine” options include the classic Philly cheese steak along with others like the Italian deluxe and a chicken teriyaki, has sustained an average growth rate of 7 percent (systemwide sales) over the past three years and was expected to close 2017 with $500 million in sales. Mostly franchised, Charleys enjoys a niche predominantly in regional malls, airports and military bases across the US, with 503 locations there. The United Arab Emirates is second with 24 restaurants, followed by Saudi Arabia with 10. There are 5 Charleys each in South Korea and Japan, its only presence in Asia. “My goal is to grow Charleys to 3,000 stores,” Shin says. Shin could be one of his best customers—he looks much younger than his age and exudes an uninhibited childlike glee. He insists on speaking English instead of his native tongue with this reporter. He was born in Seoul and made his way to the US at the age of 13 with his older sister. His mother, who still lives with him, had arrived in Columbus two years earlier, following her own sister. She was encouraged to bring the kids across the Pacific in pursuit of the American Dream. “[My] success is largely due to [my] mother’s love and dedication,” Shin says. The texture of the meat and crunch from the onions are reminiscent of the popular Korean dish Bulgogi, thin slices of marinated beef, though the two are distinct in flavour. Shin persuaded his mother to help him start a business serving the classic American hero. She poured her life savings—$48,000—into it. “She didn’t know anything about [the sandwich], but she trusted her only son,” he says. Even with the enthusiastic response, Charleys didn’t turn a profit during its first ten years, when the company finally reached 100 locations. Shin says he knew he had to take the losses and view it as a form of investment. His patience paid off. Charleys has seen its locations nearly double over the past ten years. The big eaters keep lining up. In the Newport Centre mall in Jersey City on a recent afternoon, Paul, who works nearby as an office concierge, prowled the food court and settled on the classic Philly at Charleys for the “gooey [cheese] that everyone likes”. Under his wholly owned holding company, Gosh Enterprises, Shin collects royalty fees of 5 percent of sales from multi-unit operators and 6 percent from smaller ones. The initial investment for a new franchisee averages $380,000. Other growing chains have seen stock IPOs in recent decades, though the company says it has no immediate plans to go public. The $210 billion US fast food market grew by only 2.7 percent in 2016, the lowest in three years. Some customers have moved on to fast-casual shops (think salads and rice bowls), which offer more healthy alternatives to a more sophisticated consumer. Given that, Shin is more focussed these days on building his Bibibop Asian Grill chain, whose 26 US units are company owned. He is no longer in day-to-day management of Charleys but oversees its direction. A devout Christian who frequently refers to his faith during our lunch, he seeks to maintain Charleys’s mission through a moral framework for signing up operators. “I interviewed a lot of franchisees in the past and always thought people with good character win. But I saw nice guys not doing well [while the] not-so-nice guys were doing well. It puzzled me,” he says. He concluded that short-term success may be achievable without certain virtues but that for a business to be sustained, it takes wisdom, love and especially courage. Charley Shin opened his first Bibibop Asian Grill in 2013, and though it’s still in only a few US states, its presence has nearly doubled in the past nine months. The new chain with counter-assembly service is aimed at millennials and young working professionals. It’s a step up healthwise from conventional American fast food. 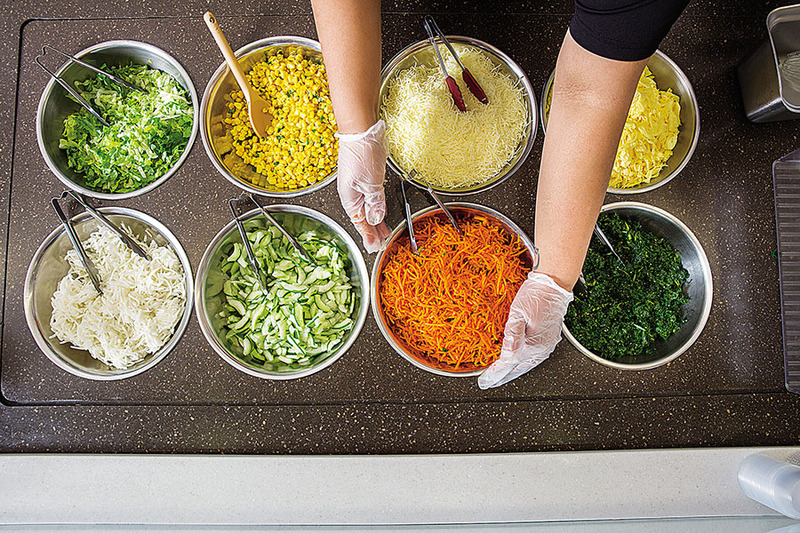 Bibibop serves rice, salads, wraps and noodles with a variety of protein options and mingles Korean side dishes such as marinated tofu, bean sprouts and daikon with traditional American toppings. Meals cost $8 to $9, a bit more than at Charleys Philly Steaks. 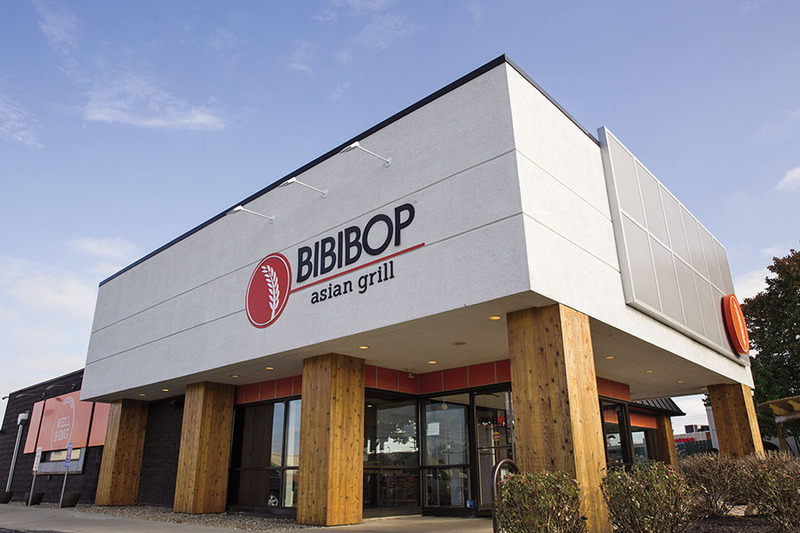 Last March, Bibibop took over 15 locations from Shophouse, the failed Asian-themed spinoff of the American chain Chipotle Mexican Grill. Chipotle, a publicly listed company with $3.9 billion in revenue and recent management turmoil, said Shophouse “was not able to achieve a level of sales and profitability that made it attractive to us for future investment”, and last year took a $14.5 million write-off on the asset. Bibibop, whose name is inspired by the Korean dish bibimbap, which means “mixed rice”, is owned entirely by Shin, who says its comparative store sales surged by 54 percent over the past year. He expected revenue to reach $50 million in 2017. He’s entering a $26 billion (2016 sales) fast-casual market that saw a 10 percent growth rate in 2016, according to research firm Euromonitor. The top four players in the US, including Panera Bread and Chipotle, accounted for more than 40 percent of that total. 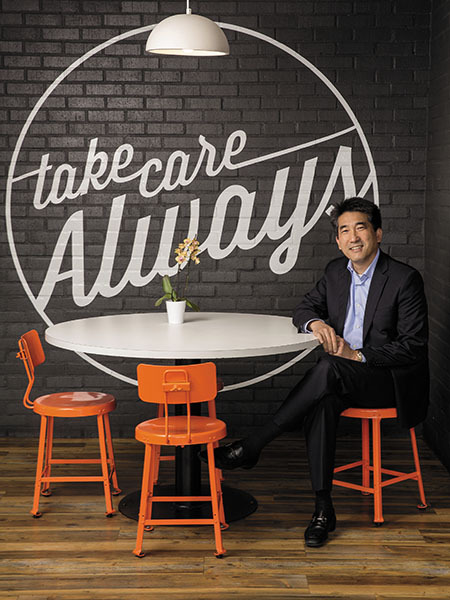 Shin says the idea for Bibibop emerged after an attempt to expand Charleys by adding freestanding locations, aiming to move away from the malls. But that met with mixed results. “The restaurant business is so difficult, and opening another business was the last thing on my mind. I don’t even buy restaurant stocks,” Shin says. At his office one evening, Shin says, he knelt to pray. “I said, ‘Lord, I’m not going to get up from here until you show me how to [grow] Charleys’.” That prayer lasted three hours and became a catalyst for Bibibop. But after prayer and a series of chance events, he became convinced that he was meant to serve rice. So after eight months of testing, he and his sister, Chung.